Louise MacDonald was born 2nd November 1914 in Southport, Lancashire. She trained for four years at the Royal Manchester College of Music and was awarded performers and teachers diplomas in 1934. Between 1941 and 1945 was organist at the Tonic Cinema, Bangor, Co. Down. she was then appointed to the Gaumont Palace, Plymouth. In 1947 she was playing the Wurlitzer at the Classic, Belfast. In 1953 she was again playing the Comnpton at the Tonic, Bangor. Louise composed a number of pieces that were broadcast. Roderick Hallowell 'Sandy' MacPherson was born 3rd March 1897 in Paris, Ontario, Canada. From 1928 to 1938 Sandy MacPherson was the resident organist at the Empire, Leicester Square, before being appointed BBC Theatre Organist in succession to Reginald Foort. During the war years Macpherson instituted parents speaking to their evacuee children in America live on the radio. He ran a number of request programmes. When the BBC briefly switched to broadcasting only light music in September 1939, MacPherson played up to twelve hours per day, also filling in with announcements and programme-notes whilst the organisation hastily evacuated its staff from London to various locations around the British Isles. Pressure from listeners and the press, who quickly tired of this seemingly unending diet of theatre organ day after day, soon caused the BBC to resume broadcasting a wider range of music. In the dark days of late 1939 - early 1940, Sandy's original signature tune, "Happy Days Are Here Again" was decidedly inappropriate to the times and he replaced it with his own composition, "I'll Play To You", a slow waltz. In the early fifties he was best known for his regular programme of light-religious music 'The Chapel in the Valley'. Sandy also had a request programme running at the same time which concentrated on slightly lighter music and was very popular with the older generation. He retired from the position of BBC Theatre Organist in . After retirement, Sandy continued to broadcast from time to time, usually on the 4-manual 16-rank Wurlitzer in the Gaumont State Cinema, Kilburn, North London. He was the subject of This Is Your Life in November 1961 when he was surprised by Eamonn Andrews. Sandy McPherson died on his 78th birthday, 3rd March 1975. John Madin was born 1st May 1912 in Chesterfield. His first theatre organ appointment was in Sheffield in 1929. During the war he was attached to the R.A.F. Central Band and spent 5½ years as band leader. Donald MacKenzie was born in 1970 in Ayrshire (Scotland), and after learning to play the piano and classical organ with renowned Scottish organist Gordon Frier, he received his first engagement in 1988 as the resident organist to the Glasgow Garden Festival. In 1991 Donald was the winner of the Senior Young Theatre Organist of the Year in the A.T.O.S. International. In July 1992 Donald began his long association with the Odeon Leicester Square Compton organ, by playing it for a number of events including a preview of 'Beauty and the Beast' and 'Chaplin'. In November 1993 he was engaged to play the organ before each performance of the film, 'Aladdin'. He was then appointed House Organist. He has broadcast from the Odeon on BBC Radios 2, 3, 4 and the World Service. Donald regularly plays the Bournemouth Pavilion Compton Organ Concert Series. 2006 also marked his third concert at the Albert Hall Nottingham. In 2005 and 2006 Donald gave concerts at the International Johann Strauss Festival held in Bucharest. In July 2006 Donald made his debut at the world famous Spreckels Organ housed in the magnificent surroundings of Balboa Park in San Diego. When he is not playing for concerts Donald specialises in the accompaniment of Silent Films. He has now more than twenty feature films 'under his fingers' including the major classics of the silent screen - The Phantom of the Opera, Dr. Jeckyl and Mr. Hyde, King of Kings, Carmen, The Black Pirate, Metropolis - as well as many different types of short silent films. One of his most treasured memories was playing for the film 'Nosferatu' at the Usher Hall Edinburgh in October 2005 to a very enthusiastic full house. In December 2005 Donald appeared at the Odeon on an ITV programme, demonstrating the art of silent film accompaniment. Donald has a degree in music from the University of London. Quentin Maclean, born in London on 14 May 1896, was one of the most popular church and theatre organists of the mid-20th century, pursuing a dual career as a performer and recording artist that encompassed both popular and classical music, in addition to being a composer and teacher. From 1921 until 1939 he played the organ at various British movie palaces. After a long residency at the Regal Cinema, Marble Arch, which featured what was then one of the largest theatre organs in England, he designed the Wurlitzer Cinema Pipe Organ - the largest instrument of its kind - for the new Gaumont State Theatre in Kilburn, the biggest movie palace in England. From 1925 onward, he was also a fixture on the BBC, where his performances included a huge volume of light-classical pieces as well as the British premieres of both Paul Hindemith's and his own organ concertos. He relocated to Canada in 1939, where he continued to play in movie theatres during the '40s, while holding academic and church posts. He also broadcast extensively on the CBC. During a family visit to Blackpool, in 1969 , he overheard the Wurlitzer organ being played in the famous Tower Ballroom by none other than Reginald Dixon, Nick was totally smitten - in fact, he never quite got over it!After he started learning to play the organ, at age eleven, it became his driving ambition to perform at this famous venue. Extract:- Nick Martin OrganFax page. Dr. Chastey Hector Dr Chastey William George Hector. For A.B.C. Plaza, Worthing; Ritz, Chatham; Broadway, Eccles; Ritz, Maidstone; Regal, Torquay; Ritz, Richmond. For Odeon Cinemas, Super Cinema, Kensingtom; Odeon, Marble Arch & Leicester Square; Davis Theatre Croydon. Jean Martyn moves effortlessly between grand piano, electronic keyboards, mighty 1930'scinema organs. Jean's range of music is vast, extending from classical to jazz and modern dance. Kay Arthur Mcabee was born in Joliet, Illinois on 17th November 1930. 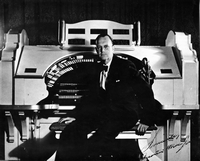 Kay Mcabee started his professional career as staff organist for the W.W. Kimball Company in 1952. After completing his musical education at the Chicago Musical College and the American Conservatory of Music in Chicago, he went on to become a featured soloist in at least five national conventions for the American Theater Organ Society (ATOS), and was inducted into their Hall of Fame in 1985. He was a pioneer in the theatre organ world and well-remembered for the series of concerts he performed at the Rialto Theatre in Joliet, Illinois and the Aurora Paramount in Aurora, Illinois, and then at the Phil Maloof Roxy Organ at the Albuquerque Ramada Classic, Fred Hermes residence organ in Racine, Wisconsin and concert series for the St. Louis Theatre Organ Society. Kay taught up to fifty students per week in Joliet for years at the World of Music. Kay was a member of the American Guild of Organists for 50 years, choir master and organist at St. Peter's United Church of Christ in Frankfort, Illinois for 23 years and then organist for Covenant United Methodist Church. Kay passed away 8th January 2012 after a month-long illness. Please contact support@britishnewspaperarchive.co.uk if you wish to claim rights to this title. From 1924 to 1930 Thomas studied piano under Alex Low, LRCM, ARCM. He then studied cinema organ under Stephen Robinson at the Kings Theatre, Dundee. Between 1927 and 1930 he was playing piano and harmonium in suburban cinemas in the Dundee area. From 1930 to to 1931 he was second organist at the Kings Theatre, Dundee. Between 1931 and 1939 he taught piano and played piano in a dance band. Garrison Theatre During the Second World War the King`s cinema shut for the duration as a cinema but became the Garrison Theatre. From 1941 to 1945 it staged over 200 variety shows, revues and concerts usually on Sundays for uniformed personnel and their guests. Junior Club Each club was based at a local picture house and offered special film programmes. The clubs were run by the cinema manager, aided by other responsible adults, who were all dubbed 'Uncles' and 'Aunties'. at the Kings Theatre, Dundee. Thomas served as organist and choirmaster at St. Andrews Cathedral from 1936. A later article described him as Trooper Henson Maw. Herbert Maxwell opened the Regal cinema, Durham and the Mayfair Cinema, Upper Tooting. 1933 resident at the Regent, Poole. He made numerous broadcasts when the organ used was not mentioned. Central Hall, Westminster, 1912 - ? In October 1921 he opened the Abbeydale Picture House, Sheffield.
. Performed in a number of concerts in London, accompanied his uncle at the Central Hall in organ and piano recitals, made a number of recordings and conducted his own orchestra. Gave up concert work and for five years toured Union Cinemas, then two years with Paramount. He was organist at the Plaza before joining the Granada circuit. During the war Neville spent five years in the R.A.F. taking his band to isolated stations. On leaving the Air Force rejoined the Granada circuit and resumed broadcasting. At the console of the Compton organ in the Havana Cinema, Romford. Ashley Miller was born March 22nd 1918 in Brooklyn, NY. His first encounter with an organ was at the age of twelve. His first appearance as an organist was on the Kimball organ at the Leonia Theatre, Leonia. He also played a 3 manual Welte-Mignon organ in the Plaza Theatre, Englewood, NJ. As a student at the Juilliard School of Music, Ashley studied organ for four years and studied conducting for three years. In 1939 Ashley gave a series of Sunday morning organ concerts on the Fifth Ave Aeolian-Skinner pipe organ broadcast on WQXR radio. Also worked at WBNX playing programs of popular music on the pipe organ in their studio. At the New York World's Fair, he played an early model Hammond for the IBM exhibit. In 1946, after completing military service, Ashley Miller was appointed organist of the New York Society of Ethical Culture playing a Hope-Jones organ. He also started as organist at Radio City Music Hall. In 1948 he started his own trio (guitar, drums, and organ) which was featured at the Park-Sheraton Hotel, NYC and broadcast over the CBS network. Ashley returned to RCMH in 1950 and played there until Jan 1956. In 1966 Ashley started playing organ for soap operas such as "Love of Life", "The Secret Storm" and "Search For Tomorrow". Classical credits include an Associate Degree from the American Guild of Organists. As official organist of the New York Knicks and the Rangers he has entertained thousands in Madison Square Garden. Ashley Millers credits as a classical artist include performances with the New York Philharmonic, The London Philharmonic and, under Leopold Stokowski, the American Symphony Orchestra. Ashley Miller was the first staff organist at the Toronto Organ Grinder pizza parlour. At the Astoria Compton organ. Stanley Miller opened the Essoldo, Chippenham and Granada, Kennington. Playing Hammond LaFleur organs at both venues. organ at the Pier Pavilion, Scunthorpe, possibly for the summer season. 1954 working for The Organ Company, Norwich. In 1931 & 32 Nora Milne broadcast from the Astoria Cinema, Corstorphine, Edinburgh. A FORMER organist who was said to have "lost half his life when he left the musical world" and who made up his mind to end his days among the hills he loved, was found dead on Wednesday with a wound in his throat at Saddle Tor, Dartmoor, Devon. He was Frank Percy Willmott (4O) of Burnham Road, Dartford, Kent, who had been missing since August 6. By his side was a pad of papers with 35 pages of what is thought to be his life story. The story was headed "Crumbled Castles." The discovery of the body - which was lying between two huge granite boulders - was, made by Mr L. Williams, a holiday maker from Exeter. Willmott was well known in both musical and art circles in Kent. He was organist at the State Theatre, Dartford, from 1935 until April 1936, playing under the name of Percy Milton, and was a painter of some merit. Last year he decided to give up his work as an organist, and he and his wife opened a cafe in Dartford. He had played on the Continent and in the provinces, and from March to July 1934 was organist at the Regal Cinema, Hull, where he employed coloured slides of his own production which he flashed on the screen as he played. "A WONDERFUL HUSBAND" Mrs Willmott told a reporter yesterday: My husband went away on August 6 telling me that he was going for a rest, He was a wonderful husband, and with my 11 years old' son, Michael, we formed an ideal family. But the cafe life did not seem to suit him. When he left the musical world 'half his life went." The papers by the side of Willmott mentioned visits during his boyhood to Dartmoor, and added that because of his love for the tors and hills he had made up his mind to return there to die. All that was in his pockets was a packet containing one cigarette and a few matches. An extract from a closely written diary of a man's life, which embraced a long and difficult struggle with adversity, was read at an inquest at Ashburton on Frank Percy Willmott, the cinema organst, of Burnham road; Dartford. Kent, who was well-known in music and art circles. He was found lying amid granite boulders on Saddle Tor, Dartmoor, near Ashburton, two days ago by a walker, who at first thought that he was asleep, but later found him to be dead. The South Devon Coroner recorded a verdict that deceased took his life by cutting his throat when suffering from acute depression after a long struggle with adversity. An extract from the man's diary read-"Please do not think I owe a grudge. I do not. It is nearly dark now; I am so tired of life. I have come this long distance to get right away from everyone and go to my God with a calm mind." The Coroner said he had read the document, but did not propose to publish any of the details, except that already read. He had no reason to doubt the statements made. It was a very sad and pathetic history of a man's struggle against adversity. He thought that the time came when the effects of the struggle over a period of years got the better of the man. There was no question of the man being insane. It showed considerable courage to do what he did. "I should be insulting him if I suggested that he did it when he was insane. It is an old story of not being able to stand the strain of the struggle." The brother. Mr. F. L. Willmott, of East Hill, Dartford, Kent, gave evidence of identification. The pad on which the tragic history was written was handed to the wife, Mrs. Diana Willmott, who recognised her husband's handwriting. "My husband had had hard luck all his life. He had always struggled against adverse circumstances," she said. Mr. J. L. Williams, a Civil servant, stated that while walking near the spot where deceased was found he saw a man lying amidst the rocks, apparently asleep. Returning some time later he saw the man did not move and found him to be dead. The police were acquainted, and Constable White said that he went to Saddle Tor and found the man lying with a brown attaché case near him. He was severely wounded. Stanley Coleman, of Teignmouth, said deceased had stayed with him for several days, and when he left he said he was going on to Newton Abbott. Dr. Elliss said that he examined Willmott, and found a severe wound in the neck, and that death was due to haemorrhage. Returning the verdict, the Coroner repeated that there was absolutely no question of insanity. Frank Percy Willmott (Percy Milton) was born 1897. He was an accomplished watercolour artist having studied at the Tate Gallery. Frank Willmott used the stage name Percy Milton when playing the organ. During the first world war he was a conscientious objector. In 1936 he gave up working as an organist and with his wife Diana opened a café in Dartford. The following year, while suffering from depression, he took his own life on Saddle Tor, Dartmoor. Her first appointment was as relief organist for the Philpot circuit around Coventry. In 1937 she toured as relief organist and held resident appointments at the Plaza, Forum, Savoy and Rex cinemas. In 1940 Betty was appointed to the Commodore, Slough playing the Hammond Lafleur organ. She stayed for a year then moved to the Regal, West Norwood where she was organist and assistant manageress until July 1944, when the cinema was closed due to enemy action. Betty then moved to Regal, Edmonton and then in November 1945 she transferred to the Troxy, Stepney. Louis Mordish was born 1st July 1908 in London. His early training was as a pianist, his first cinema appointment was as a relief pianist playing for silent films. at the Commodore, Hammershith. He remained there for three years. He joined the Hyam Brothers as organist in 1936 and remained with them until joining the R.A.F. in 1941. He spent almost five years in the service, during that time he appeared as a soloist with the R.A.F. Symphony Orchestra in five piano concertos. On being demobbed he was appointed to the New Victoria, London working for Gaumont British. Louis broadcasting career started in 1933, as a pianist, both as part of an orchestra and as a soloist, he made his first organ broadcast in 1941. Louis Mordish died in 1996. Kevin Morgan started playing piano at the age of three. When, as a choir boy, his voice broke, he was persuaded to try playing the organ instead of singing! All went well and he played for his first Choral Evensong in Salisbury Cathedral at the age of eleven. Hebron Morland was born in 1898. As a youth Hebron Morland was organist at the parish church of his native village of Hunwick, in County Durham. In 1927 he got his first cinema-organ post, at the Scala, South Shields. From there he moved to the Queen's Hall Picture House, Newcastle. He then opened the Gaumont Palace, Doncaster, frequently broadcasting from there. In 1951 Hebron took over the Cosy Cinema in Appleby, Cumbria. Raymond Morton was born January 1909. A pupil of Mr James Crapper for pianoforte, harmony & counterpoint. Received organ training from from Mr. A Bagshaw A.R.C.M and Thomas Dando. Raymond spent two years as organist & pianist playing for silent pictures followed by six months as orchestral organist at the Heeley Electric Theatre, Sheffield. Following an eighteen month spell at the Coliseum, Sheffield he spent nine years with A.B.C., spending seven of those years at the Ritz, Ipswich. Raymond also spent two years on the Granada circuit. In 1946 was playing at the Capitol, Forest Hill. Harold John Nash was born 6th Sep 1906 in Northampton. Harold had his first church organ appointment at 12 years of age. He played at the Regal, Harrogate and the Savoy, Northampton 1945 to 1956 (last resident organist at this venue). Harold was among the first Hammond players in the UK. Reginald New born April 1902 in Lewisham, Kent. Reginald was first a chorister and then assistant organist at St George's, Catford, later organist at Christ's Church, Chislehurst before he became a cinema organist. When cinemas started using organists to accompany silent pictures Reginald New was among the pioneers at various London cinemas in. On 28 November 1929 he made his first BBC radio broadcast from the Beaufort Cinema, Washwood Heath, Birmingham. After broadcasting 468 times he transferred to the Regal Cinema at Kingston-on-Thames in 1933 making another 200 broadcasts from there. organ Rushworth & Dreaper. 3 manuals. and broadcast from there on 8 December 1935. Reginald New was unique in that he used two signature tunes - signing in with "Jolly Good Company" and signing out with "Old Father Thames". During his time at Dartford, he composed the "Dartford March". This became a soldiers' marching tune and was sung by many who came back from Dunkirk. Reginald New made over 800 broadcasts in his career. In July 1958 he was playing the organ in the show 'Dazzle' at the Sparrows Nest, Lowestoft. Frank Newman was born in London in 1894, He started piano and organ lessons at the age of 12. He was appointed organist at the London Church when he was sixteen. Studied at the Royal Academy of Music. In 1914 he volunteered for the army serving in the artillery in France, the Balkans, Egypt and Palastine, contracting malaria whilst in the Jordan Valley. Frank returned to church work in 1919 but spent most of the year in hospital following a recurrence of malaria. Moved to Lowestoft and became an accountant. In 1922 was chosen for the post of organist at of St. Peter Mancroft. In 1927 commenced broadcasting while at Lozells Picture House Birmingham. In 1929 joined Sandy Macpherson as assistant at the Empire Leicester Square. Opened the Regent, Ipswich and Plaza, Rugby. Frank made about fifty recordings between 1929 and 1936. He went to the Metropole, Victoria then succeeded Sydney Torch at the Regal, Edmonton. After the outbreak of war volunteered and was recommissioned joining the Royal Norfolk Regiment. Served in England for the duration of hostilities as captain. During the war broadcast from Llandudno and Bangor on the BBC Theatre organ. After the war played for Gaumont British. In 1958 he broadcast from theGranada Theatre, Rugby. Originally the Plaza that he opened in 1933. T. Frances Nicholson was born 12th September 1920.
he went on to become his assistant at the Paramount Theatre, Newcastle in 1938. In 1940 he joined Bernsteins as assistant organist at the Granada Theatre, Tooting. He left to join the R.A.F. in 1941. He joined the Granada circuit in 1943, leaving in 1945 to join Gaumont British as a guest organist. He started broadcasting from the Gaumont, Middlesbrough in 1945. Harry Norman was born on the 12th August 1913. Was a British composer and conductor of light music. Born in Minsk, and musically trained in Vienna, he worked in London, for the first 15 years of the new century, as a composer of light songs. After the First World War, Darewski had a long career as a conductor of light music, both in London and at English coastal resorts. band at the Olympia, Hammersmith and then at the Dominion, Hounslow. orchestra on the Hyams circuit. , Uxbridge until 1945, When he was appointed organist to Odeon Theatres at Whitton, Middlesex. W. Philip Norman was born in Plymouth, Devon. He started his musical studies at the age of 9, passing all exams of the Associated Board up to diploma on the piano. He served an apprenticeship in the music trade on leaving school. He studied under Frederic Bayco, at that time organist organist at the Gaumont Palace, Plymouth, and deputised for him on his transfer to the Dominion, Tottenham Court Road. His first theatre organ appointment was at the Regent, Swindon in September 1933. He went on to play at the Gaumont Palace, Cheltenham; Commodore, Orpington and Regal, Eastleigh. He left Eastleigh in November 1937, and worked for Granada Theatres for a few weeks before joining A.B.C. at the Ritz, Cleethorpes in January 1938, staying until the outbreak of war forced the cinema to close. In March 1940 he joined the Ritz, Penzance, staying for two years, moving to the Westover Cinema, Bournemouth in March 1942. He left there in August 1942 to join the Army. at Donnington, Salop and Queensborough, Leicestershire. After being demobbed appointed to the Rivoli, Southend on Sea. Everett Nourse was born on June 8th 1911 in Chico, he grew up in Oakland and began playing the piano when he was six years old. Within two years he was composing his own music and at 14 he became enthralled by the Wurlitzer pipe organ at his neighbourhood Parkway Theatre. After his Oakland High School music teacher arranged for his first chance at a Wurlitzer, demonstrating the organ in the Diamond Theatre in Oakland, the theatre's manager invited him back to play whenever he wished. He began playing occasionally for Saturday afternoon stage shows. The last show to be held at the Fox Theater was the fabulous Farewell to the Fox stage show on February 16, 1963. 1933 at the Plaza Birkenhead. 1934 to early 1936 Lewis Oddy broadcast from The Plaza Theatre, Birkenhead. Stainer and Bell web site"
Nigel Ogden was born in Manchester. His father was a church organist, and also a lover of the theatre organ. At an early age, Nigel was taken to hear the great Reginald Dixon playing the Tower Ballroom Wurlitzer organ, and was instantly 'hooked'. He first broadcast in 1971, and on 3rd March 1980 took over from Robin Richmond as the presenter of the BBC Radio 2 programme The Organist Entertains. Nigel is equally at home on church organs and electronics, particularly Hammonds. Cathedral organs too have received the very special Ogden treatment. The theatre organ is Nigel Ogden's first love, and he has recorded many CDs at the organ that first sparked his imagination - the Blackpool Tower Wurlitzer. Rex O'Grady, organist at the Paramount Theatre, Manchester, is considered by many good judges to be the most versatile cinema organist, and he considers the organ at the Paramount Theatre is the finest he has ever played. In the near future he may broadcast. He began playing at the age of eight, and at the age of 11 was appointed organist at Rotherhithe Church. At 14 he was conductor of the orchestra and choirmaster of the New Cross Philharmonic Society, London. He was senior scholar of Trinity College of Music, London, at the age of 15 and played the organ in the cinema for the first time at 17. When Wurlitzer came over from America 10 years ago, he decided to make his career as a cinema organist. Rex 0'Grady began playing at the age of eight, and at the age of 11 was appointed organist at Rotherhithe Church. At 14 he was conductor of the orchestra and choirmaster of the New Cross Philharmonic Society, London. In 1932 he broadcast from the Paramount, Manchester. In 1934 he opened the Paramount, Liverpool. Edward O'Henry was born in 1896 in Brislington. Educated at the Worthing School of Art & Royal Academy of Music. Assistant to Dr. Davon Wetton & Frank Idle. Served in the Army and took part in the Occupation of Cologne 1918-1919. Escaped from Jersey June 1940 as a refugee just prior to the German occupation. Broadcast from Madame Tussaud's for five years from 1928, and for Music While You Work. Played opening concerts at Playhouse Windsor; La Scala Cinema, Glasgow; Capitol Theatre, Aberdeen; Capitol Theatre, Didsbury; Paramount Theatre, Newcastle on Tyne; Forum, Jersey. Soorjo Alexander William Langobard Oliphant Chuckerbutty was born 1884 in the county of Kensington, London. Wilson Oliphant was his console name (used when playing theatre organ). He was a composer, church and theatre organist. He started studying piano at the age of 6 and was composing at the age of 14. After a short spell running a dance band he took up playing the cinema organ, while still playing church organ. He opened at the Marlborough Theatre, Holloway. Joined the musical staff at the Angel, Islington in 1920, staying until 1927. Continued teaching, playing the church organ and composing. On leaving the Angel took other posts including Cafe Royal, Reent Street; Olympia, Shoreditch; Ritz, Edgware; Carlton, Essex Road; New Gallery and Forum, Kentish Town. Wilson also performed many recitals, these included Albert Hall, Colston Hall, Bristol & Crystal Palace. Born in Buenos Aires, Hector Olivera's first teacher (who was his father) encouraged him to begin playing the pipe organ when he was three. Two years later, he was appointed organist of the Church of the Immaculate Conception. At six, he entered the Buenos Aires Conservatory to study harmony, counterpoint and fugue. At age twelve, Mr. Olivera entered the University of Buenos Aires where he studied with Hector Zeoli and Juan Francisco Giacobbe. By eighteen, he had performed more than three hundred concerts throughout Latin America. In 1965, New York's Juilliard School of Music offered him a scholarship. He immediately moved to the United States to study with Vernon de Tar and Bronson Reagan. Three years later, Mr. Olivera won the National Improvisation Contest sponsored by the American Guild of Organists. 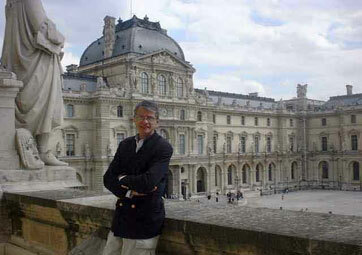 In 1988, after years of performing in the United States, Maestro Olivera was invited to play once again in Argentina. Mr. Olivera has performed as guest soloist with orchestras throughout the world. In 1992, Mr. Olivera was guest artist at the American Guild of Organists' convention at the Fox Theatre in Atlanta performing the world premiere of a commissioned work written by William Albright. In 1996, in celebration of the Olympic games, Mr. Olivera was given the honour to perform a solo concert at Spivey Hall, Atlanta. In 2002, Mr. Olivera was invited again to perform for the American Guild of Organists' National Convention. Sitting at the 2/8 Wurlitzer at The Picture House Glasgow. Cinema organist FRANK OLSEN, who was a busy recitalist, died on September 4, aged 72, after collapsing from a heart attack while giving a recital to Cinema Organ Society members at the Odeon, Leicester Square He spent most of his cinema career at various theatres in Glasgow. Organist of the City Picture House, Peterborough; Gaumont Theatre, Middlesbrough; the Picture House, Glasgow; the New Victoria Theatre, Edinburgh and the New Cinerama, Glasgow. Opened St. Georges Hall Cinema, York. 1960 opened the A.B.C Derry. Bertram John Orsman was born 4th October 1901 in Hitchin, Hertfordshire. Organist of St. Alban-the-Martyr’s, Holborn, London. Ken Outram was born on the 21st June 1927 in Darnall, Sheffield. He was blind in one eye and had little sight in the other. At the age of 5, he started at the Royal Blind School in Sheffield as a boarder and was there until the age of 16. He studied music under the distinguished organist, Mr Arthur Littlewood. He played piano and organ at many venues in Sheffield before playing at the Old Hall Hotel in Hope, Derbyshire, where he stayed for 15 years from 1957 to 1972. He heard that they were looking for an organist to play for lunchtime dancing at the City Hall in Sheffield. Ken was chosen from 30 applicants. He started at the City Hall on the 27th November 1967 and remained there until May 2004. As well as playing at the City Hall, Ken also travelled the country doing the 'concert circuit' playing both Theatre and Pipe Organ and electronic organ for Organ Societies. Opened the Essoldo, Ilkley and Picture House, Morely. BOBBY PAGAN, veteran theatre and cinema organist, put the 3-manual Compton instrument in the Town Hall, Ossett, West Yorkshire through its paces recently, to the delight of many enthusiasts present. This recital was only a few miles from where Pagan turned professional on the cinema organ - at The Picture House in Doncaster. That was in November, 1926 and while playing in Doncaster he has a vivid recollection of meeting producer Harry Russell who persuaded him to write the music for the touring revue "Welcome Home which shot Phil Strickland to fame as a comedian. Scottish-born Bobby has the distinction of having played for silent pictures at the famous London Palladium. This he recollects was in 1928, before the energetic George Black took control and banished the Golden Silents, turning the Palladium into the world's Number One Variety Theatre. After a stint in Glasgow, the diminutive Scots musician returned to the capital to play the organ in such venues as the Metropole at Victoria, the Trocadero, Elephant and Castle, and the Gaumont State at Kilburn. Now, following a Spell of deputising on the giant Christie at The Dome in Brighton, and the completion of fifty years of broadcasting. Bobby Pagan has made his home in the Midlands. There he teaches pupils, but is still available for the occasional recital. Bobby who describes himself as "seventy-nine years young" has no thought of retirement. He said: "I hope to continue giving organ Concerts for some time yet. Music is my life. Bobby Pagan was born in Scotland c. 1905. In 1926 he became a professional theatre organist at the Picture House, Doncaster. Bobby had the distinction of having played for silent films at the London Palladium in the days before George Black took over and turned the theatre into the worlds Number One Variety Theatre. Bobby played the top venues in London, including the Metropole, Victoria; Trocadero, Elephant & Castle and Gaumont State, Kilburn. In 1933 he opened the Troxy, Stepney. Bobby was on the radio for over 50 years. Broadcasting almost daily, sometimes twice a day, from October 1940 through to November 1955 on the Home Service and Light program. Feb 1950 he broadcast from Gaumont State, Kilburn and Sep 1948 broadcast from the Trocadero, Elephant & Castle, 1956 he broadcast on the BBC theatre organ. 1951 playing summer season at Broadstairs Pavilion & Band Stand playing a Compton Theatrone. 1963 Pantomime season at the Opera House, Scarborough. He was still playing in 1984, deputising on the Christie at the Dome, Brighton and giving concerts at the Town Hall, Ossett plating their Compton. He was also teaching at this time. H. F. (Roy) Page started playing cinema organs in 1920. In 1939 he was playing the Christie at the Pavilion Cinema and the Compton at the Piccadilly Cinema in Birmingham. from around 1942 Roy was also a regular on the radio, broadcasting on the 'Home Service' and also on 'Forces Radio'. In 1946 was playing the Compton at the Odeon Theatre, Richmond. 1936 Phil Park was at the Alma cinema, Luton. In 1937 Phil was playing at the Regal, St. Leonards. From 1938 to 1941 Phil was broadcasting regularly on the Christie organ at the Regal Cinema, Edmonton. He played his first church service when he was 10 years old, he was appointed as church organist at 12. He was organist at St. Mary's Cathedral, Glasgow 1903 - 1915. By 1940 had broadcast over thirty times on the BBC Theatre Organ. He was the first to tour the halls with a touring organ specially built for the purpose by Harrison and Harrison. He played at King’s Cross Cinema, London; Astoria Theatre, London; Shepherds Bush Pavilion, London; the Capitol, Haymarket. Played the Odeon Weston-super-Mare during 1941-1942. Was broadcasting on the Home Service in 1942. Charles W. Perkins was born 4th October 1855. He was organist at Immanuel Church, Streatham Common; St. Michael’s, Paddington and Birmingham Town Hall. In 1914 he opened the Picture House, Stafford playing a Reed Organ de Luxe Mustel ‘Celesta’ Concert organ. Craving to be an organist from an early age, Edgar Frederick Peto realised his ambition when, at the age of twelve, he became the organist of a large church in Paddington. Subsequently he gained a scholarship at the Trinity College of Music and at the Royal Academy of Music. Thereafter his studies were cut short by a serious illness. A diseased bone of the right arm laid him up for two years and a half, in the course of which he underwent twenty-two operations. For some years he combined church and cinema organ work, and opened the second Compton organ in London. Reginald Porter-Brown was the youngest of the four organists who opened the BBC theatre organ at St. George's Hall, London. Like many successful theatre organists, he started by playing the church organ when quite a youngster, and was assistant organist at a Bamsley church when he was only eleven. By the time he was twelve he was teaching, and became a choir master when only sixteen. For many years he played at, and broadcast from, the Forum Cinema, Southampton, and also the Guildhall, Southampton. His signature tune, 'Oh, Mr. Porter'. Chris Powell was born in Manchester in 1971. At the age of 2, his parents emigrated to live in Christchurch, New Zealand where he first became exposed to organ music as a pre-schooler at the Cathedral Boys Grammar School. A return to England in 1977 saw him further his musical activities both as a chorister and also with piano and subsequently electronic organ lessons.By the age of 16, he was already giving concerts as well as playing for dancing around East Lancashire and West Yorkshire. Living in North West England, it was not surprising that the family made an outing to the world famous Blackpool Tower.On hearing the Wurlitzer, Chris remarked to his parents that he would "play in here some day! "....At the age of 18, he was successfully auditioned to join the team of organists there as a relief player during the winter of 1990. 1994 saw an invitation to return to New Zealand to play a series of theatre and electronic organ concerts.The 4 week sell-out tour saw him performing to capacity crowds from Dunedin in the South right up to Auckland.Other destinations have included frequent visits to Germany and Holland as well as Italy and the United States. In 2000, he was invited by the Roland Corporation to tour with one of their flagship Atelier organ products.The initial AT-80R has subsequently given way to various newer models leading up to the current AT-900C model which he tours with right around the country.